Pictured at the Limerick Pride 2018 press launch – Lisa Daly, Chairperson Limerick Pride 2018, Elsie Cox, Karma Monet and Richard Lynch, Grand Marshall Limerick Pride 2018. The Limerick LGBTQ Pride Festival 2018 runs from Monday, July 2 until Saturday, July 7 with the Parade on Saturday, July 7. Picture: Cian Reinhardt/ilovelimerick. The countdown to Limerick LGBTQ Pride Festival 2018 officially began with the press launch at the George Hotel in Limerick City on Monday, June 11. At the press launch Lisa Daly, Chairperson Limerick LGBTQ Pride Festival 2018 said, “We are thrilled to be able to offer a fantastic line up for Limerick LGBTQ Pride Festival 2018, running from Monday, July 2 until Saturday, July 7 with the Parade on Saturday, July 7. There is something for everyone culminating in the annual Pride Parade and the PrideFest party directly after the Parade at the Hunt Museum. We want to welcome everyone to join us in celebrating LGBTQ culture in Limerick and show Limerick for the truly open and accepting city that she is. Our theme this year is “We Are Pride” celebrating the people who have worked tirelessly behind the scenes over the years to make Pride happen for Limerick. The Pride committee is delighted to announce Richard Lynch, founder of ilovelimerick as the Grand Marshall, of this year’s Pride parade in honour of the ten years of service he dedicated to the organisation of Limerick Pride from 2008 until 2017″. Pictured at the Limerick LGBTQ Pride Festival 2018 press launch at the George Hotel, Richard Lynch of ilovelimerick and Grand Marshall of Limerick Pride 2018 was presented with a commemorative plate from Lisa Daly, Chairperson of Limerick Pride 2018 for his 10 years of service to Limerick Pride. Picture: Zoe Conway/ilovelimerick. On Monday, July 2, Limerick LGBTQ Pride Festival 2018 Official Launch will be held at McGettigans Pub at Limerick City Hotel from 6 pm to 8 pm with free finger food, and performances followed by music from DJ Eamonn on the night. On Tuesday, July 3, Print with Pride takes place at Limerick Printmakers Studio & Gallery in Johns Square from 4 pm to 5.20pm. This is a free event where you can bring along your t-shirts, jumpers, tote bags, or simply use some of the paper at the event, to create your own custom Limerick Pride Silk Screen art piece. Cupcakes with Charnell takes place in Hook & Ladder on Sarsfield Street at 6.00pm. Learn to make rainbow cupcakes in a hands-on baking class. Discounted price of €5 for the class. Last year sold out so be sure not to miss your chance this year by booking your tickets early. Email chair@limerickpride.ie to book. On Wednesday, July 4, Queens on the Cobbles takes place at Cobblestones Joes at 8 pm. This free entry event promises to be a great evening, with loads of different types of entertainment such as magic, comedy, drag performances and live bands. Ormston House is proud to present the première of ‘Far from the reach of the sun’ by award-winning artist Kevin Gaffney, in partnership with EVA International, during Limerick Pride 2018. Screening daily from 12-6pm until Saturday, July 7 with the Première: Wednesday, July 4 7-9pm. Admission is free and all are welcome. On Thursday, July 5, ‘I Heart the Cranberries’ by The Limerick Lady & Limerick Pride takes place at Dolans Warehouse at 9 pm and the event is already sold out! A loving tribute to the music of The Cranberries in Aid of Adapt House and Limerick Mental Health this very special concert with over twenty artists from all over the country gathering to pay tribute to Dolores O’Riordan. On Friday, July 6, Limerick Pride Youth Party takes place at Lava Javas Youth Cafe, Lower Glentworth Street from 6-9pm. Presented by Limerick Youth Service & GOSHH, young people (14-19yrs) from Limerick & beyond are invited to enjoy music and meet new people. 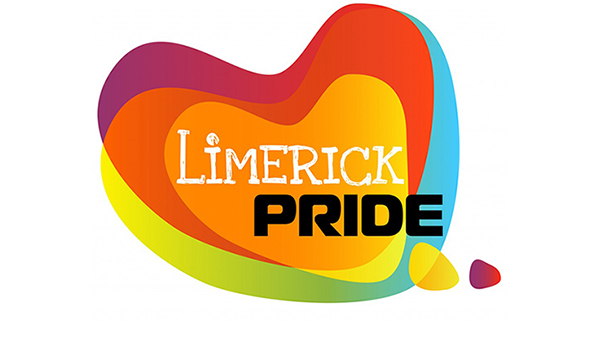 The team will also be preparing for Limerick’s Pride Parade which takes place the following day. Pictured at the Limerick LGBTQ Pride Festival 2018 press launch Richard Lynch, Grand Marshall Limerick Pride 2018 (bottom centre) with members of the Pride community. Picture: Zoe Conway/ilovelimerick 2018. ‘T’was the night before Pride’, a free entry traditional pre-pride party with guest DJ’s and camp classics will take place at Mickey Martins from 9pm-1am. On Saturday, July 7, the Limerick LGBTQ Pride Festival 2018 Parade will bring some extra colour and music to Limerick City Centre, gathering at City Hall at 1.30pm the Parade will make its way at 2.30pm sharp up O’Connell Street, across Mallow Street to Henry Street, past Arthurs Quay Park and ending at the Hunt Museum for PrideFest 2018 a showcase of local LGBT culture in Limerick in a lavish marquee in the museum gardens from 3 pm – 6 pm. This is a free family-friendly event with a free bouncing castle for kids, cone van, cafe and bar on site, live music from Voice of Ireland Emmett Daly & Cork duo Sparkle, with plenty of entertainment. Pride has teamed up with Nevsail Watersports/Limerick Adventures to offer 50% off during Pridefest. That night after Pridefest, for the first time in Ireland, Lasgo vs Ian Van Dahl Battle Tour will headline the Pride Climax Party. From 9 pm the Warehouse will light up for this year’s pride party with acts from across the globe. KiKi St Clair is your host for the evening with performances from Fada, Letycha Le’Synn, Mia Gold and Europes number one Pink tribute act Laura Tapp. With three venues, three DJs, including Saved by The 90’s upstairs in Dolans & 80’s and camp classics in the Kasbah Club. Pre-tickets are on sale & can be purchased online for €12 here. This year’s Pride will have an educational aspect. Support meetings will be held during the week for youth, adult and trans groups. GOSHH, 18 Davis Street will provide Rapid HIV testing at different points in the week. Call GOSHH on 061 314354 for more information.